I was expecting Haiti to be hard. I had anticipated the signs of struggle – buildings crumbled and cracked, camps constructed out of gray USAID tarps and twine. I accepted the cacophonous noise, the endless heat and exhaust, and the dust that muted the mountains beyond. I had not anticipated that Haiti would make me feel so much but leave me nearly speechless. I returned over a week ago and I am still at almost a complete loss for words. I guess words don’t seem worthy enough. Words alone can’t do it justice. To say I had a wonderful time is trite and true. Hazel was an exceptional guide. She is an inspiration. Her friends are delightful. The peanut butter is unparalleled. Everything seems heightened in Haiti – the ocean saltier, the sun hotter, the horns louder, the beat bolder, the road rockier. 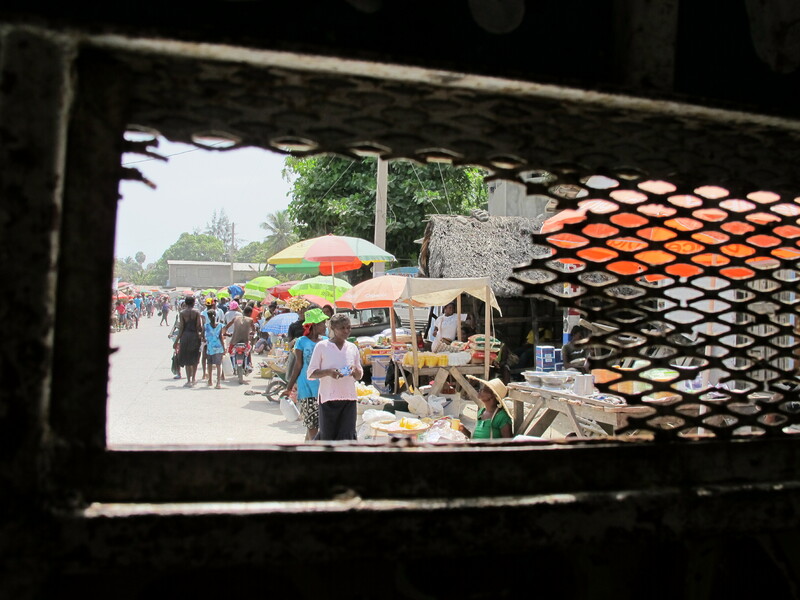 There is an undercurrent of strength, humming and heaving throughout the day, that’s a constant reminder of Haiti’s tortured history. It seems impossible and all too real at the same time. « Fresh from the Farmers Market: Honey Bees. Oh Bee-have!